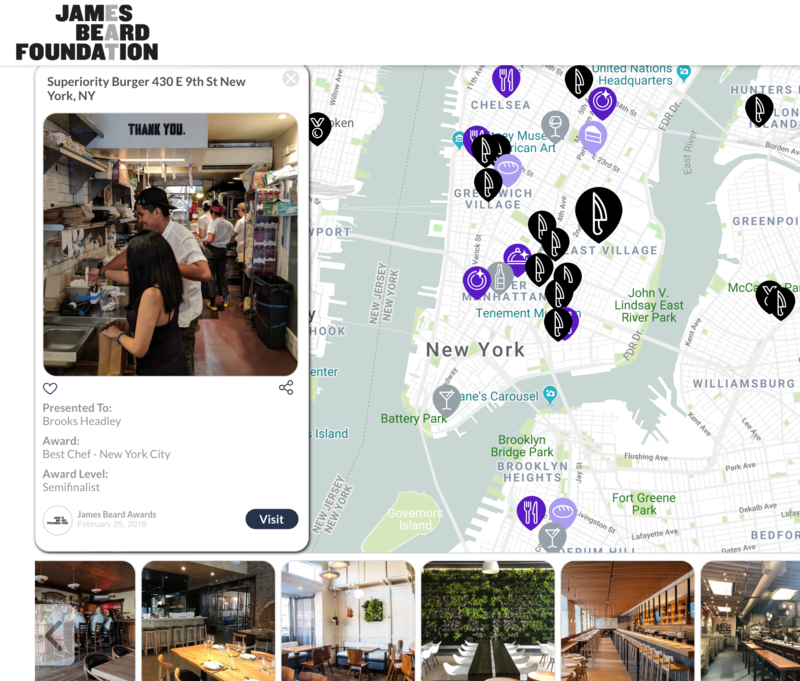 New York, March 30th, 2019 — Relola, the leading provider of location-based enterprise solutions that allow organizations to own and broadcast organic content, today announced its support of the 29th annual James Beard Awards with the launch of the Relola interactive map of restaurant and chef finalists. Recognized by CNBC’s 2018 list of up-and-coming companies, Relola is a provider of location-based enterprise solutions that enable organizations to own and broadcast organic content generated by their networks. Relola integrates seamlessly into pre-existing websites and mobile apps, allowing organizations and their followers to create private social networks around geotagged content. Selected as social media disruptor at Asia’s premier innovation event TechCrunch Tokyo, the Relola application is available in English and, as of November 2018, in Japanese. For more information, please visit relola.com and follow @relolaworld on Twitter.